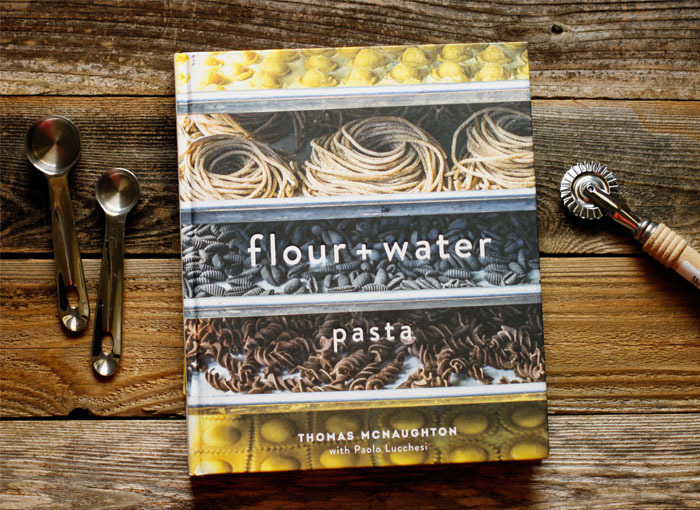 It is all about a restaurant in San Fransisco (called Flour + Water) that makes loads of specialty pastas. They have a few different recipes in their cook book for doughs, and lots of tasty looking recipes for homemade tortellini, ravioli fillings, spaghetti type sauces and more. Adam was intrigued, and was completely determined to make pasta (I was 100% willing to support that decision). Thus was born a new series: Culinary Adventures. We decided that there are a lot of tricky, but fun (and delicious) things to make out there. You may not be interested in making them, but hopefully you will be interested in the process, which can be super amazing (and time consuming)! This is the first of many culinary adventures that we hope to have and post here. 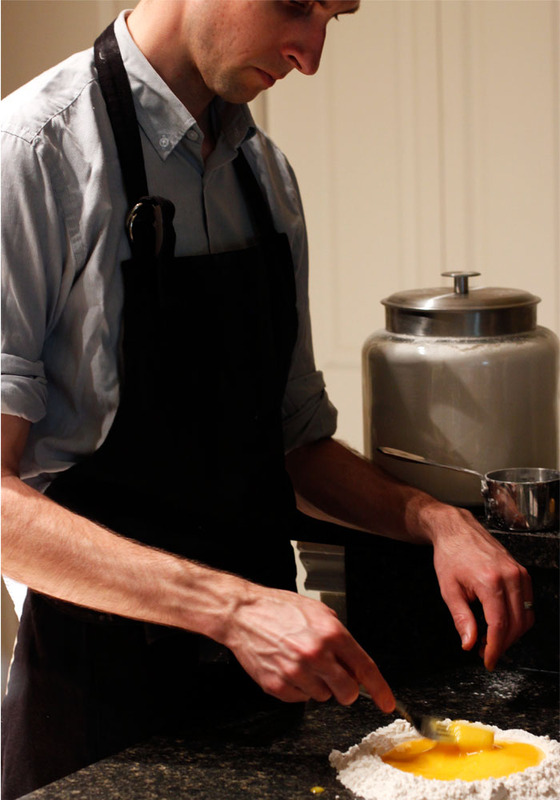 Place the flour on a dry, clean work surface, forming a smallish mound. Sprinkle the salt in the middle. Using the bottom of a measuring cup or drinking glass, make a well in the middle with at least a 1/2 inch of flour covering the floor of the well. 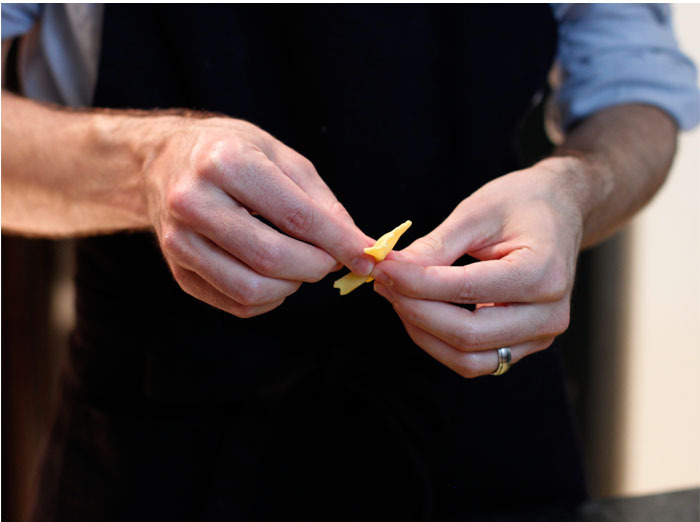 Carefully add the olive oil and egg yolks to the well, using the flour as a bowl. Using a fork, very carefully beat the eggs without touching the flour walls or scraping through the bottom of the flour bowl. 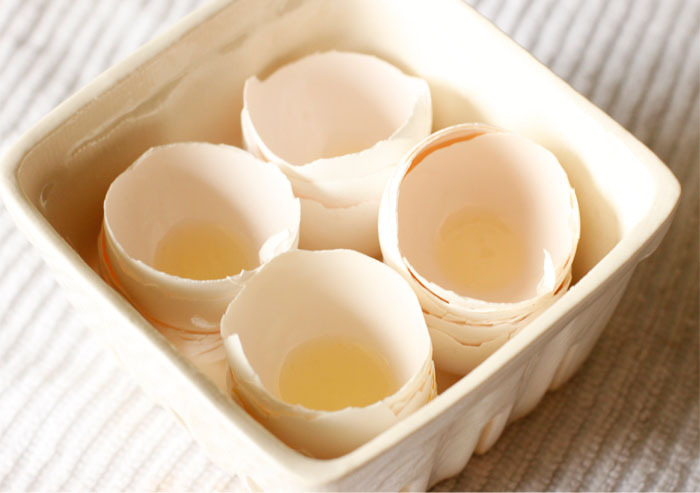 Slowly incorporate the flour walls into the egg, working your way to the outer edges of the flour, without touching the floor of your flour bowl. Once the dough takes on a paste-like quality, start to incorporate the flour on the bottom. Once the paste begins to form a solid dough, remove as much as you can from the fork. Slide a spatula or bench scraper under the mass of dough and flip it and turn it onto itself to clear wet dough from the counter or work surface. With your hands, knead the dough into a single mass. The goal is to mix all the flour into the mass. Use a spray bottle to spritz the dough. It is dry dough and the books says that "it cannot be overstated how important it is to generously and constantly spritz the dough to help glue any loose flour to the dry dough ball". When the dough is a solid and stiff mass, scrape any dry bits of flour from the work surface. 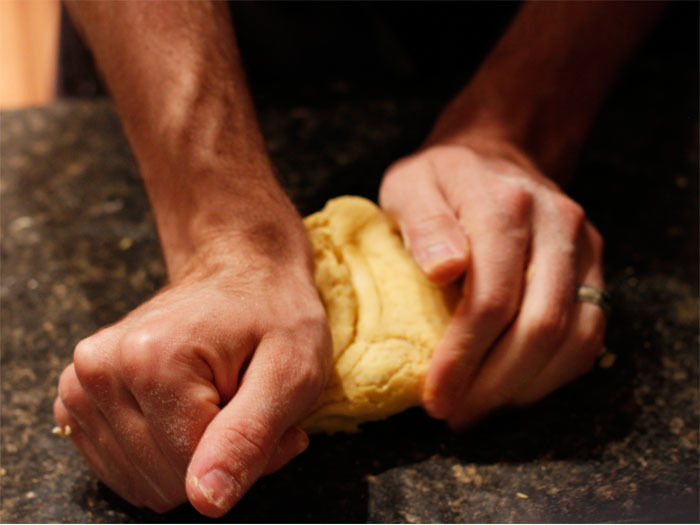 Knead the dough with the heel of your hand, rotating the dough every knead for 10 to 15 minutes. According to "Flour + Water" it is almost impossible to over knead pasta dough, but it won't work correctly if it isn't kneaded enough. It can spend too much time on the worktable though, and begin to dehydrate. 10 to 15 minutes should be plenty of time. When the dough is done, it will be firm and bounce to the touch, almost like play dough. Wrap it in plastic wrap and let it sit for at least 30 minutes, but no longer than 6 hours. 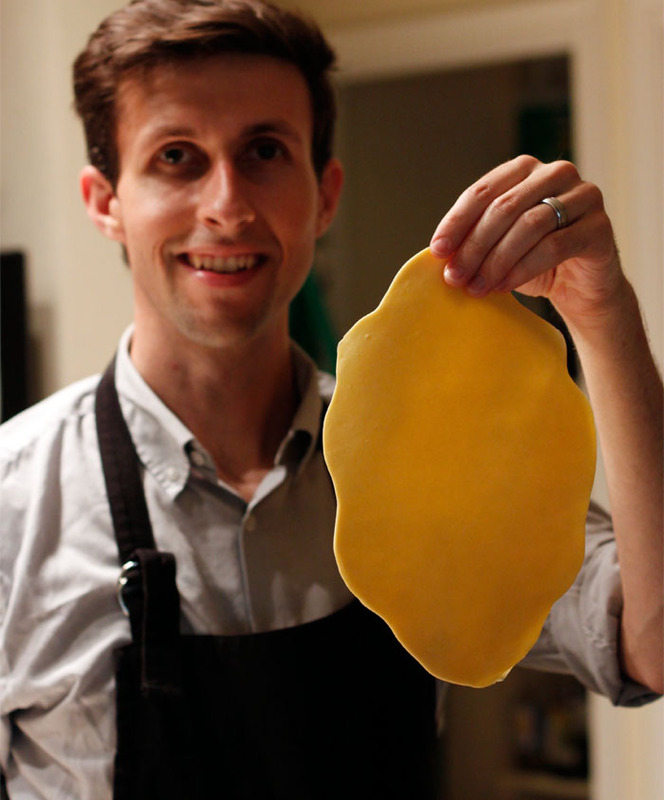 You can roll out the dough with a hand crank machine, or if you are tough like Adam, you can roll it out by hand. Slice a section off the ball, and quickly wrap up the rest of the dough in plastic. 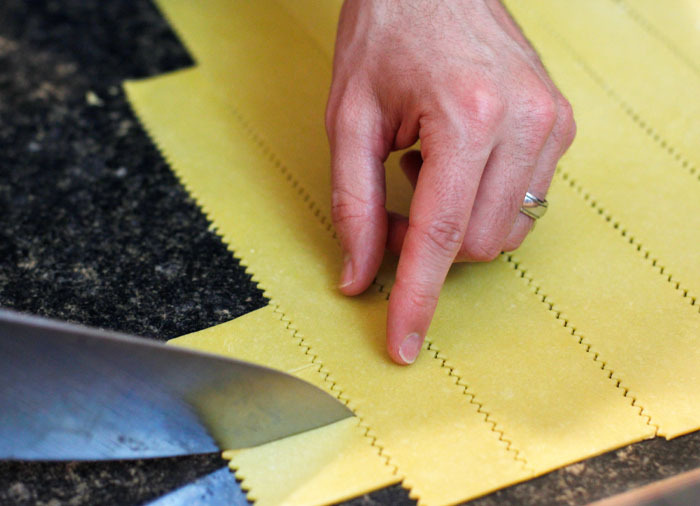 Roll the small section out with a rolling pin and flatten it to fit the widest setting of the pasta machine. The dough will begin to dehydrate, so it is important to do this part quickly. 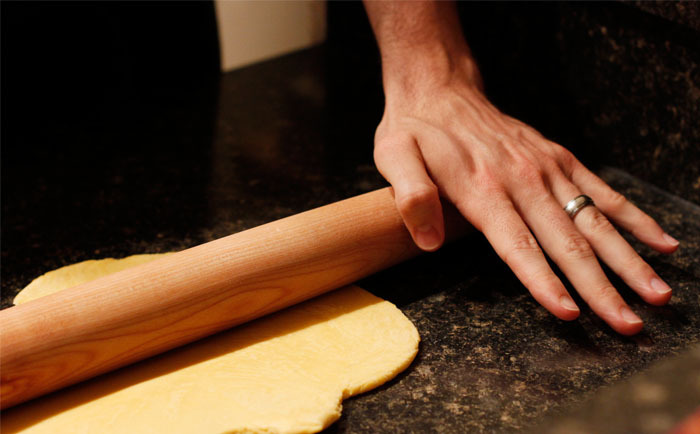 Roll the dough through the machine, or roll it out by hand. When you have reached your desired thickness (about 1/16 of an inch or thinner), lay the dough of a flat surface. Now measure out and cut the lines for the bow ties. 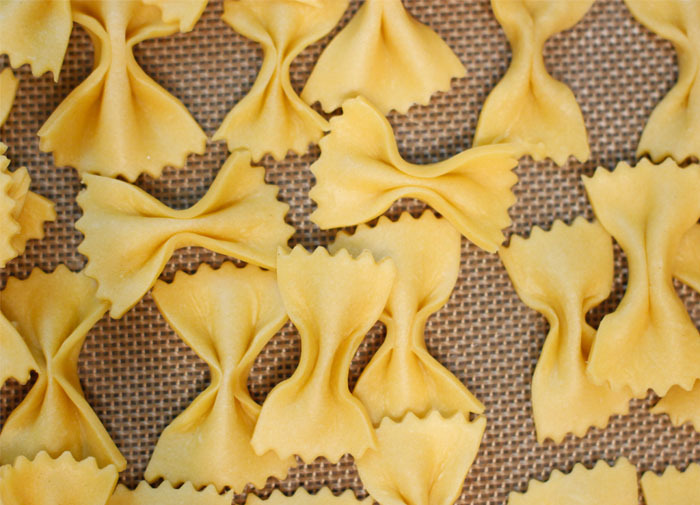 Cut the pasta into small rectangles, and fold and pinch the middle to create a bow. Lay out on a cookie sheet until all are formed. 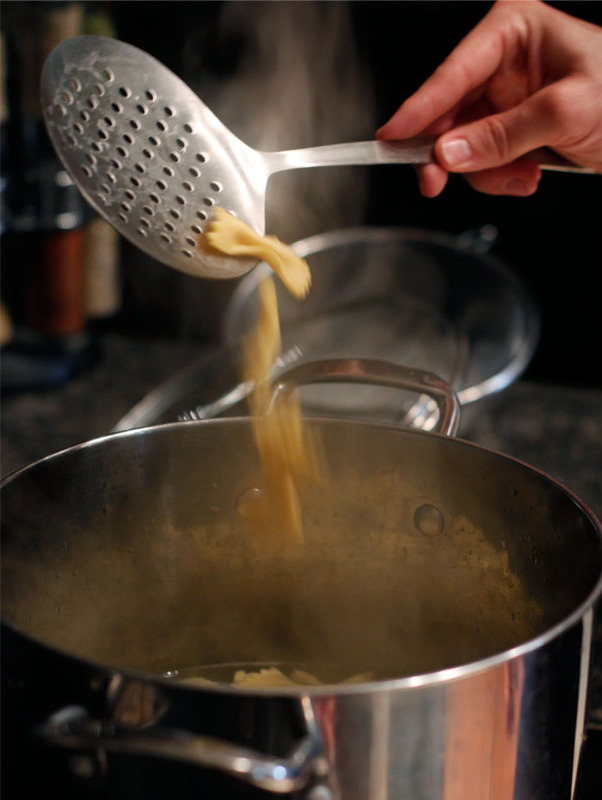 Once you have formed all the pasta, add to a pot of boiling water, and let cook until they are soft. Serve with sauce immediately. Mix all the ingredients except the ground turkey together. Add the ground turkey and mix to combine. Place turkey in a frying pan and cook on medium heat until it begins to brown. Remove from pan and make the sauce. Melt the 3 Tbs butter. Add cream cheese and smoosh with a rubber spatula until mixture is relatively smooth. Add herbs and stir, then slowly add the milk. Then add the flour and parmesan cheese. Salt and pepper if desired. 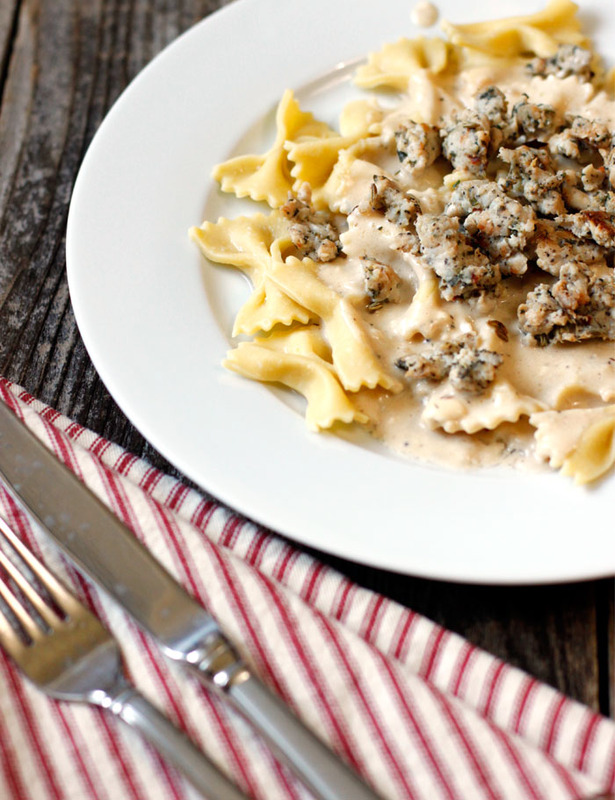 Immediately serve with ground turkey sausage over pasta. 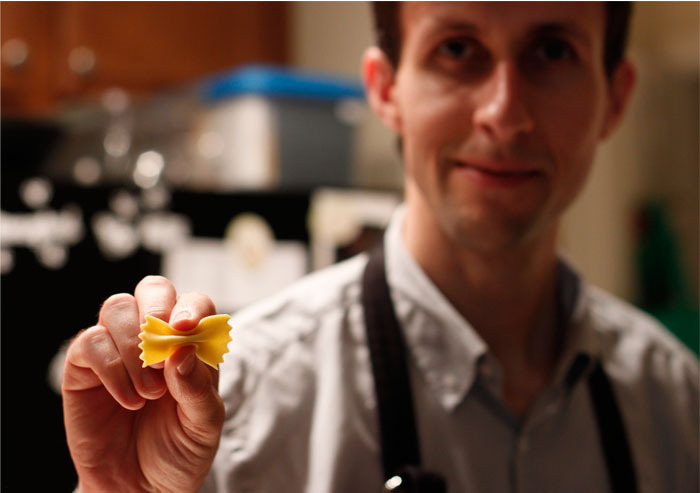 Enjoy a serious sense of accomplishment for having made homemade pasta. It is a pretty satisfying feeling! We make pasta all the time back at home and I'm always amazed by how much better it tastes than the boxed version! I think I was surprised at how different it tasted than dry pasta, but it was incredibly delicious! A little chewier and less slippery than regular pasta. I thought it was really delicious!